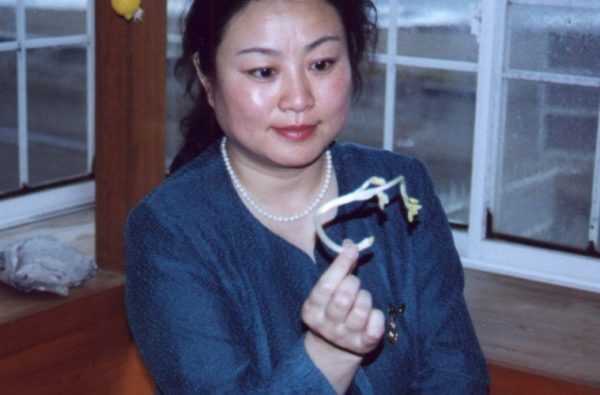 Scientists Witness A Woman With SHOCKING Superhuman Abilities That Rapidly Grows A Plant From Seed! Why does the title of this article emphasize that ‘truly impossible’ results were witnessed? Because providing an explanation for what happened here is literally impossible right now, despite the fact that it happened repeatedly. Extra ordinary human potential is something that has been studied for decades; and although a number of studies have been conducted which have yielded statistically significant results, there is still a harsh resistance by mainstream scientists to look at these topics. On the other hand, many distinguished scientists are also recognizing and accepting the importance and relevance of this type of phenomena. Material science is great, but it’s time to usher in the reality of non-material science, something Nikola Tesla said would advance humanity immensely, with progress increasing at an exponential rate. Quantum mechanics has questioned what we perceive to be the ‘material’ foundations of the world by showing that subatomic particles and atoms are not really solid objects, and has brought human consciousness into the equation. Pretty remarkable isn’t it? How does Sun do it? Apparently, she enters into a deep trance-like state, and from this place, she is able to advance the time required for sprouting dry seeds from their usual 3 to 4 days , to 20 minutes, generating a sprout growth of 3-4 inches. After a genetic analysis, scientists confirmed this to be the case, hence, the using of the word “rapid” in the title. The study of phenomena like this have been happening for years and will hopefully continue into the years to come. The mainstream opens up more and more when it comes to these topics and it’s only a matter of time before, like many previously unbelieved phenomena, will become much better understood and self evident.